Assume a simple two column dataset as shown below. In column A are some text strings. In each cell are multiple phrases separated by commas. In column C are some phrases - one in each cell. The objective is to search for all phrases in each cell and extract the phrases found in another column of the same row. I have solved this problem using Power Query a.k.a. Data > Get & Transform in Excel 2016. You may download my solution workbook from here. I have solved a similar problem at this link as well but that requires the usage of an add-in. This is so because the special characters and numbers need to be removed from within the string as well. In other words, everything except letters need to be removed from the alphanumeric string (no matter where the numbers and special characters are - beginning, middle or at the end). Any lookup function i.e., VLOOKUP(), LOOKUP(), INDEX()/MATCH(), HLOOKUP() requires the text lookup variable (the first input of the VLOOKUP(), HLOOKUP() etc. ) to be spelled exactly the same as the entries in the lookup column. If the spelling does not match, the result is #NA. To some extent, inexact searches can be performed by concatenating wildcard characters (? and *) to the lookup variable. The task is to increase MS Excel's tolerance towards spelling mistakes and inexact text matches across two tables. For e.g., when performing a lookup, somehow MS Excel should be able to understand the Delhi City is the same as City, Delhi. In order to perform, inexact searches, you can download and install Microsoft's Fuzzy lookup add-in from here. I have run this add-in on two live datasets in this workbook. One worksheet shows the date wise courses (External Course, Internal Course and Elearning Course) taken by staff members. The data also shows the Line Managers that they report to. Another worksheet lists down all staff members and the Line Managers that they report to. 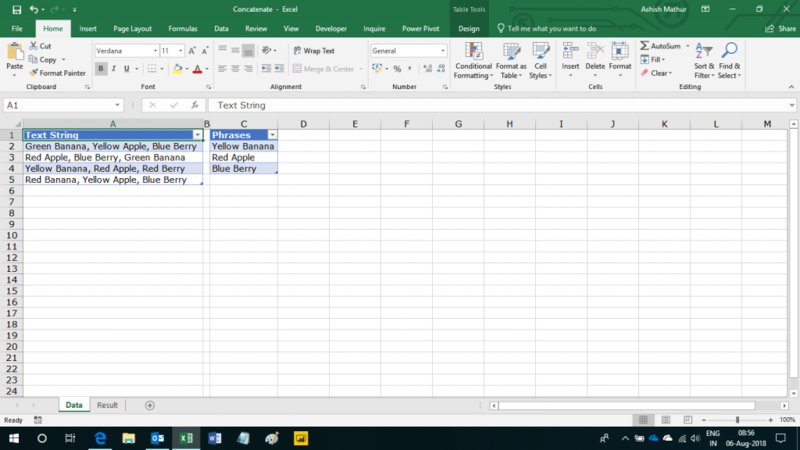 From data on the first worksheet, one can easily determine (via a Pivot Table) the Elearning courses taken by various staff members (along with their Line Managers). However, a Pivot Table will not show the staff members (along with their Line Managers) who did not take the Elearning Course. You may refer to the data set and my workaround in this workbook. My solution uses the Microsoft Power Query add-in for MS Excel 2010 and higher versions. One can download and install the tool from here. A typical problem is fetching data from another worksheet or workbook via the VLOOKUP() function. Quite often, when one confirms the VLOOKUP() formula in a single cell with the Enter key, then at the bottom right of your MS Excel screen (the task bar), a white progress bar appears which reads "Calculating (4 processors) 1%". Once has to wait for the processing to complete before copying the formula down. The process of copying is obviously just as time consuming and resource intensive. In these situations, a workaround is the JOIN the tables in MS Access and then get the data back in MS Excel. For accomplishing this, one must have at least some working knowledge of "SQL Query" writing. 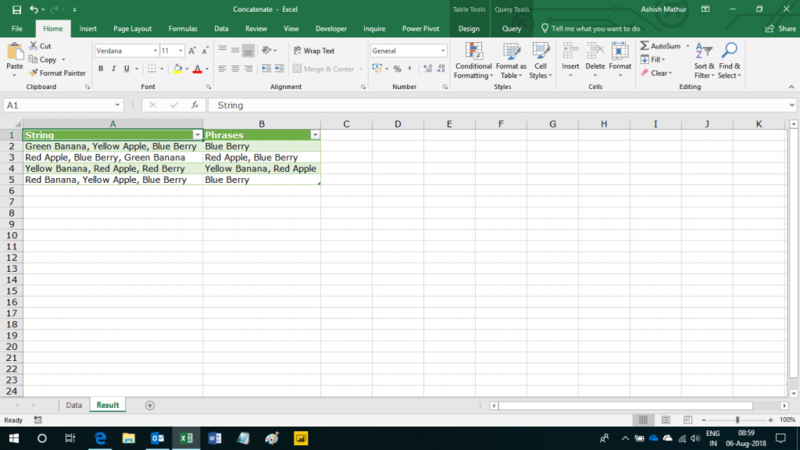 If you are using the Power Query add-in for MS Excel 2010 and higher versions, then one can fetch data from another worksheet or workbook without writing a single formula. Furthermore, there is absolutely no lag in generating the result. In a range of cells, assume there is a list of invoices raised during a certain period. Since adequate care was not taken to number the invoices sequentially, there are missing invoice numbers in the Excel range. So, it is possible that after raising invoice number 501, 502 and 503 the next invoice raised was 507.
one may want to generate a list of missing invoices. You may refer to two solutions in this workbook.